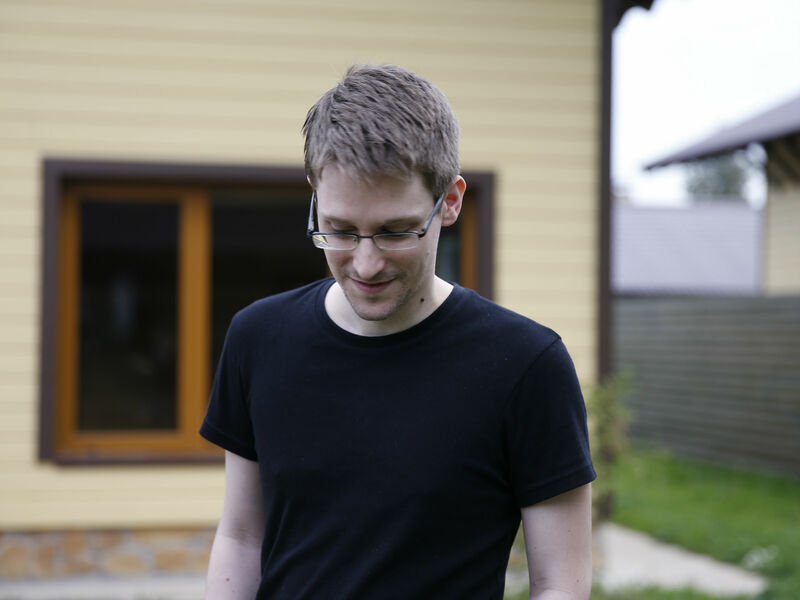 Whistleblowing is not for the faint-hearted, and Laura Poitras’s new film on Edward Snowden, Citizen Four , reminds us that neither is documentary filmmaking. The lack of drama in the presentation of this inherently dramatic story mystified me on first viewing, until I realized that Poitras takes her cues as a documentary filmmaker from Frederick Wiseman. Wiseman, the master of cinéma vérité “fly on the wall” documentary, uses a hands-off style comprised of long, unedited scenes which at their best show us the unadulterated stuff of life and institutions and at their worst approximate watching paint dry on the big screen. Citizen Four does a bit of both, but Edward Snowden is so compelling a character and the sense of being a witness to a historic moment is so palpable that the approach works. As Poitras suggested in an interview on KQED’s Forum on Oct. 21, her filming of Glenn Greenwald’s interview with Snowden holed up in a Hong Kong hotel was like being present when Daniel Ellsberg copied the Pentagon Papers with his son. That example had real resonance for me as the co-producer and co-director of the Oscar-nominated film that described those events, The Most Dangerous Man in America: Daniel Ellsberg and the Pentagon Papers . Poitras was right, I didn’t have the choice to show the real thing. No one was filming Ellsberg and Anthony Russo copying the 7,000 page history of the Vietnam War which became known as the Pentagon Papers. So we struggled with a technique to visualize events with no witnesses. Animation was the choice we made for the scene copying with Ellsberg’s son. Our historic film attempted to build tension through Michael Chandler’s hard-hitting editing, and by using recreations, archival footage and interviews from dozens of sources, narration by Ellsberg himself, and a musical score and sound mix designed to put the audience on the edge of their seats. In contrast, Citizen Four ’s strength is its very simplicity. This is unembellished documentation of events that weren’t intended to be seen, but that we’re remarkably invited to witness. While the opening sequence of Poitras reading Snowden’s initial emails and the events in the hotel room that follow are thrilling, the film doesn’t play as a thriller. The filmmaking is primarily unembellished documentation of the events that make up this journey: legal proceedings, phone conversations, editorial meetings, testimony in international court—events as they transpire. Does Poitras set out to do the opposite of what Michael Moore recently demanded in his passionate Indiewire treatise “13 Rules for Making Documentary Films”? Moore goes on to call for documentaries to primarily entertain. Which is it to be: Frederick Wiseman’s camera fixed for what seemed the full event, documenting a meeting of Berkeley bureaucrats in his recent film In Berkeley; or Michael Moore’s side-splitting interviews, embarrassing the powerful with a line of questioning intended to do just that? Do we have to choose? What makes Citizen Four groundbreaking is not the filmmaking, but the extraordinary access. One can’t help but feel witness to a historic moment in a thoroughly unique, convincing and visceral way, and to feel the danger experienced by the whistleblower and his confidants, and his confident handling of the tense situation. In fact, the national security whistleblowers and the journalists featured in this documentary film—Edward Snowden, Laura Poitras, Glen Greenwald, Jacob Applebaum, Sarah Harrison and Julian Assange— are all living in exile. Snowden and Assange were forced into exile. 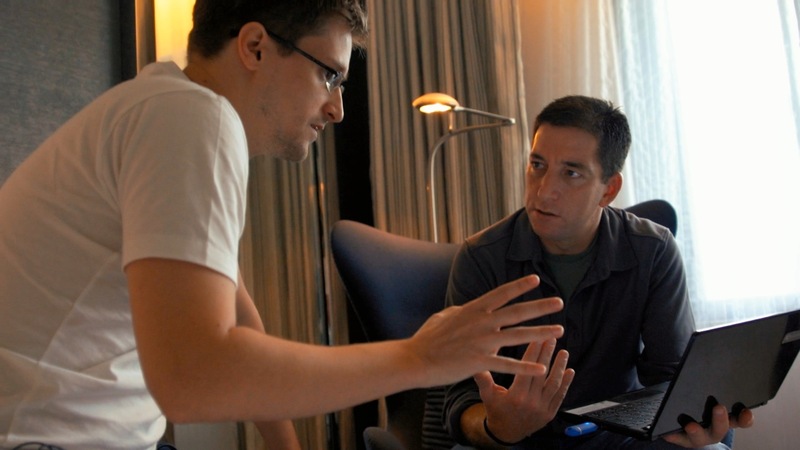 Journalists Poitras, Greenwald and Appelbaum live outside the US in order to do their work unimpeded by our government. It’s a situation that surely calls into question the narrowing limits of press freedom in post-9/11 America. And we’re not alone. Assange and Harrison would be in danger of judicial wrath if they were to walk the streets of the UK. Assange is beginning his third year in the powder room of the Ecuadorian Embassy opposite Harrod’s of London. His one-time girlfriend, WikiLeaks activist Sarah Harrison—having helped Snowden escape from Hong Kong—is settled in the former East Berlin, along with Poitras and Applebaum. It’s a place that understands the danger of blanket surveillance; the population having survived decades of control by the Stasi (East German secret police). National Security whistleblowers in the US are living in what Daniel Ellsberg likes to call the United Stasi of America. Ellsberg often points out that national security whistleblowers are taking an unprecedented beating under the President, who was once a constitutional law professor. They have been subjected to 10 indictments during Obama’s six years in office, compared to three such prosecutions in total under all previous presidents, Ellsberg being one. The accumulated jail time of contemporary whistleblowers is 50 times more than all whistleblowers that preceded them. My film actually plays a role in this story. Edward Snowden recently stated in a public Skype conversation with Daniel Ellsberg that seeing The Most Dangerous Man in America inspired him to follow Ellsberg’s example. So our history film helped motivate the historic events Poitras shares with us. We told a historic story, one that didn’t demand the secrecy, encryption and subterfuge or courage it took to capture the revelations of Edward Snowden. These documentarians took risks that rival that of the whistleblower. I took no such risks. I began writing this blog on a plane headed for Brisbane, Australia via Taiwan, having come through security as usual with a smile. I’m not on a no-fly list for making HISTORICAL stories of courageous whistleblowers. Laura Poitras is. She is a very private, security-minded person, who has made herself the go-to person for whistleblowers at risk, like Edward Snowden. 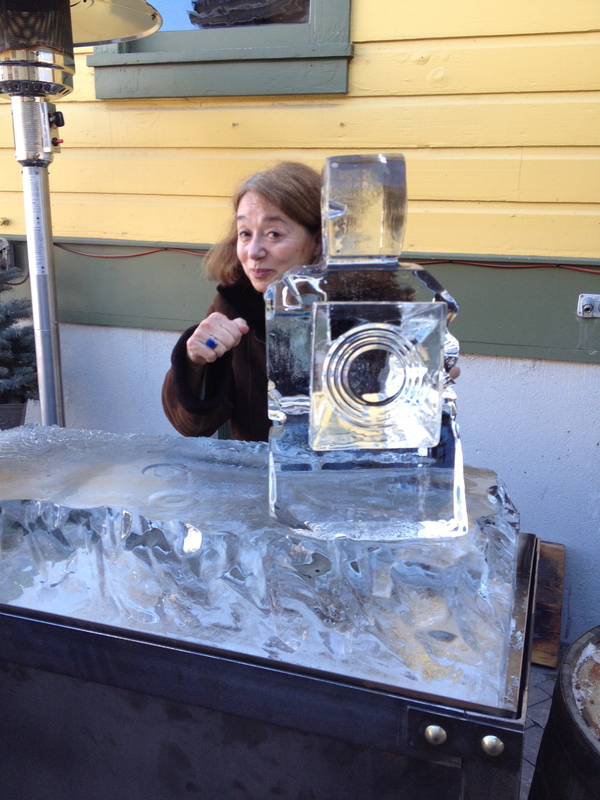 If I had secrets to reveal, she is the documentarian I would feel safe sharing them with. In The Most Dangerous Man in America and Citizen Four , we give the audience a front-row seat at events that changed the world. The events I documented were 40 years old, Laura’s recent and much more risky. I am in production on a related film about an alternative championed by Birgitta Jónsdóttir, an Icelandic Member of Parliament who has collaborated with most of Poitras’s characters but who remains free, trying to make her tiny nation into a haven protecting global free speech in cyberspace. I welcome your comments on that story. There’s a clip at www.judithehrlich.com. 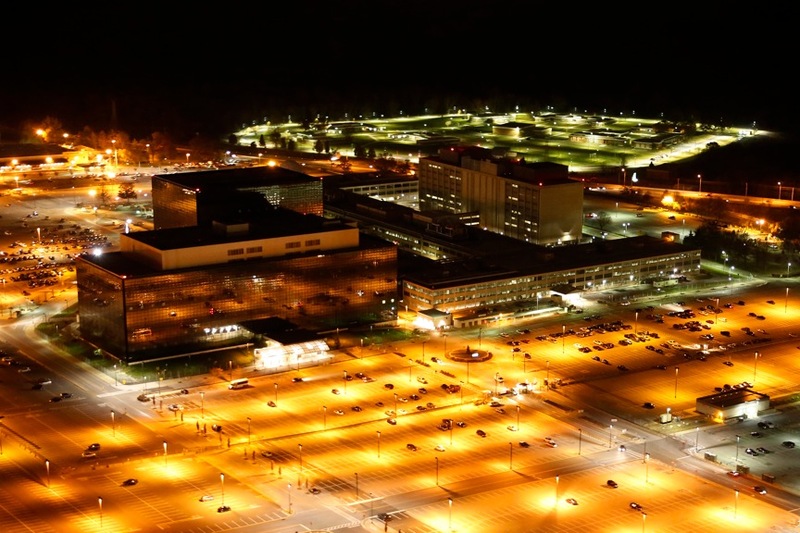 Citizen Four is playing at theaters in the San Francisco Bay Area and is opening around the country in November. For details visit ​https://citizenfourfilm.com/. You can see Laura Poitras’ earlier films on Fandor. Judith Ehrlich co-produced and co-directed the award-winning PBS/ITVS documentary The Good War and Those Who Refused to Fight It (2001), a story of men guided by principle to take the unpopular position of pacifism during World War II. Daniel Ellsberg served as an advisor on that film. Ehrlich co-produced and co-directed the Oscar- and Emmy-nominated, Peabody awarded documentary The Most Dangerous Man in America: Daniel Ellsberg and the Pentagon Papers (2009). She’s currently in production on two films: The Mouse That Roared, about a crusading Icelandic “poetician”; and The Boys Who Said No, the story of Vietnam-era draft resisters. She’s also made dozens of prize-winning educational films and radio documentaries on subjects including the peace movement, education, citizen participation and low-income housing. Ehrlich teaches documentary film history at Berkeley City College. judithehrlich.com. This entry was posted in Films and tagged documentary, Edward Snowden, Films, Judith Ehrlich. Bookmark the permalink. So what is happening with the release? October 24th (limited) I am here in Las Vegas and can’t find a theater that has it.